Successfully Added 6 Inch Android 4.4 Phone 'Gravity II' - 1.3GHz Quad Core CPU, 720p IPS Screen, 1GB RAM, 8GB ROM, NFC to your Shopping Cart. 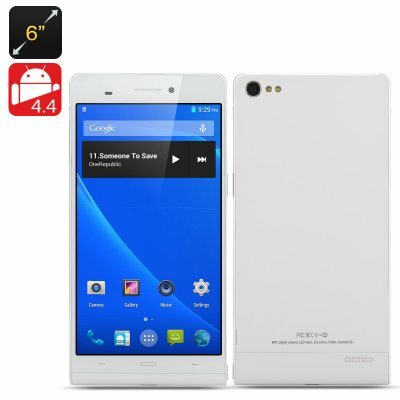 6 Inch Android 4.4 Phone with 1.3GHz MTK6582 Quad Core CPU, 720p IPS Screen, 1GB RAM, 8 GB of ROM and NFC makes it ready so your good to go. Following on from the successful Gravity Smartphone we're pleased to offer the latest and updated Gravity II. 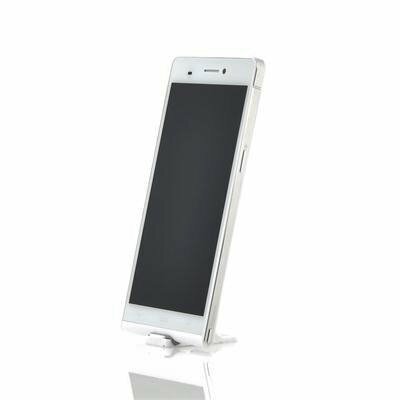 This phone has an impressive 6 Inch IPS screen, which offers 1280x720 HD images in beautiful detail but not only has it got a stunning screen size this phone is also one of the thinnest on the market at just 7.6mm. The Gravity II is so slim and light you can easily slip in your pocket and it fits comfortable in your hand. Inside this ultra thin shell sits a highly tuned 1.3GHz Quad Core CPU which utilizes Low-power Cortex-A7 technology to offer enough speed to smoothly run all your apps but without draining lots of power. This lets you get the most out of your phone when multitasking and lets you maximize the battery usage. The 720p HD resolution of the Gravity II offers vibrant and deep colors, making this phone ideal for multimedia use. Thanks to the Mali-400 MP2 GPU, you can experience great movies and play 3D Android games like never before. Like its predecessor the Gravity II comes with extra features such as NFC and Bluetooth 4.0 for easy wire free data transfer as well as having GPS support and Miracast capabilities. The camera can also be accessed using the one touch side button making snapping pics or taking videos quick and easy.